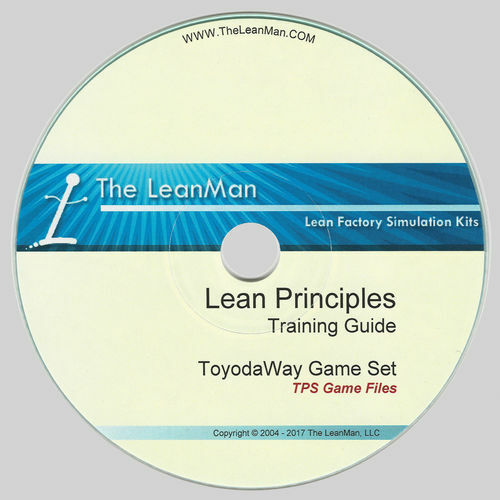 The ToyodaWay Game CD includes this presentation which takes the training provided in the TPS Defined refresher Macromedia TM Flash Movie and the ToyodaWay Jeopardy game and puts the team through the paces as they test their knowledge. 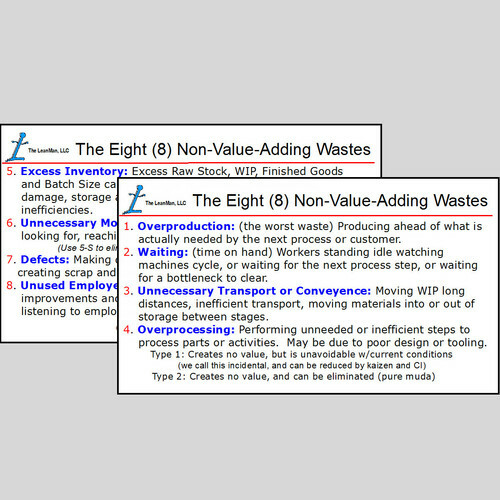 The Who Wants to Be a Millionaire-like game with 15 questions challenges the skills while reinforcing the underlying elements of TPS (Toyota Production System). 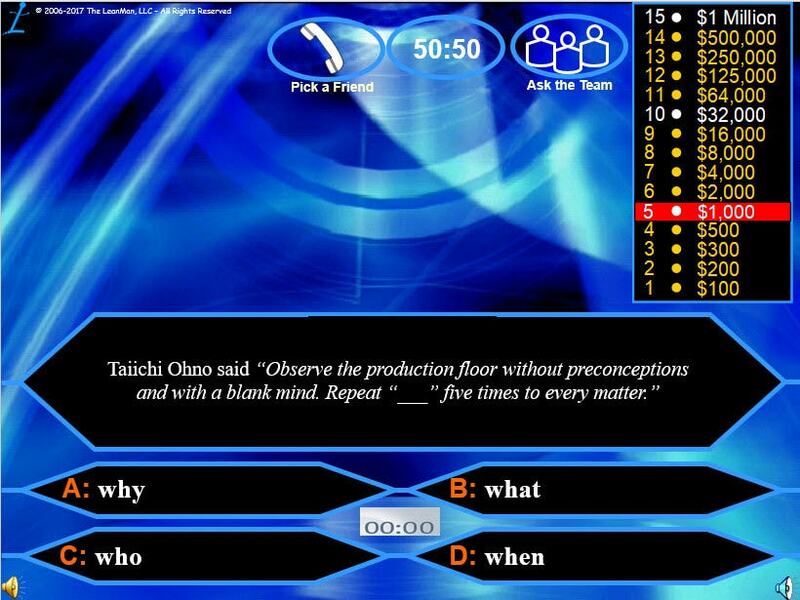 Three versions of the game are included which present the questions in unique sequence so contestants can’t memorize the pattern. To really enforce the cognitive long-term memory associations it is important to create a level of excitement to stimulate the brain cells. A gas gift card or a free lunch as a prize to the winner often does the trick. This game makes a fun test of knowledge when used as support for the TPS Car Factory Simulation.